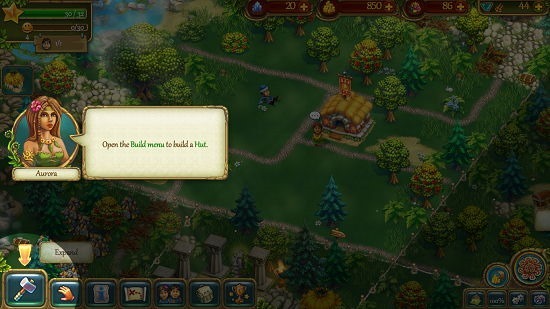 The Tribez is a free game for Windows 8 and 8.1 in which you have to expand your land and grow your tribe. The game is based off on the principle of building huts etc., growing crops and everything to make your tribe self-sufficient. The game is a bit heavy on the size but makes for a wonderful download on account of its great interface, smooth gameplay and what not! I absolutely love this game for its ability to run fully well on both touch, as well as non-touch devices. 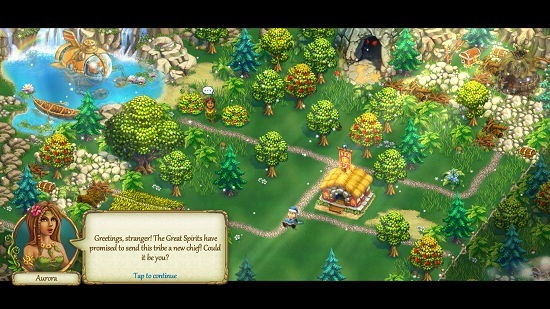 The Tribez is available for free from the Windows App Store. When you install and run the game on your device, you will be presented with the below screenshot. Next, you will be taken to the tutorial screen of the game. Here, you will be told what to do with marked arrow indicators. Once you have completed the tutorial, you will be on your own. To build houses, simply click on the build button at the bottom left of the screen. Once you have clicked on that, you will be presented with the build menu on your screen which looks like the below screenshot. 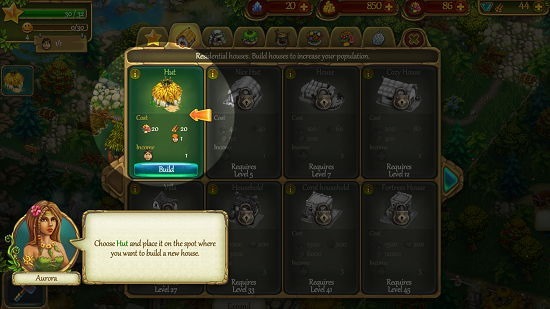 When you click on the Build button under the type of structure that you wish to build up, you will be able to place the structure on your tribe’s map and then begin with its construction. 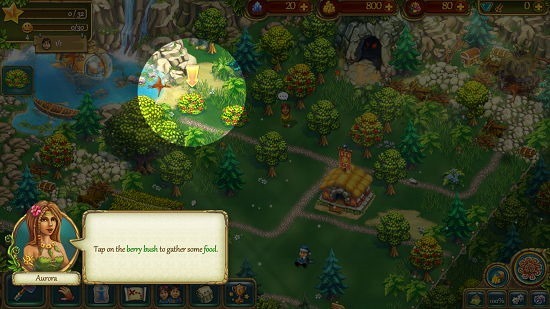 In the game, you can see your experience points at the top left, and food and other resources at the top right of the screen. You level up at certain intervals in the game, and the objective of the game is to keep your tribe thriving at all times. This concludes the main features of The Tribez for Windows 8 and 8.1. The Tribez makes for a great download on all compatible devices. I absolutely love the game! You can click on the link below to grab it for your device.